It seemed like Winter would never end but warmer weather is finally here and Spring is in the air! 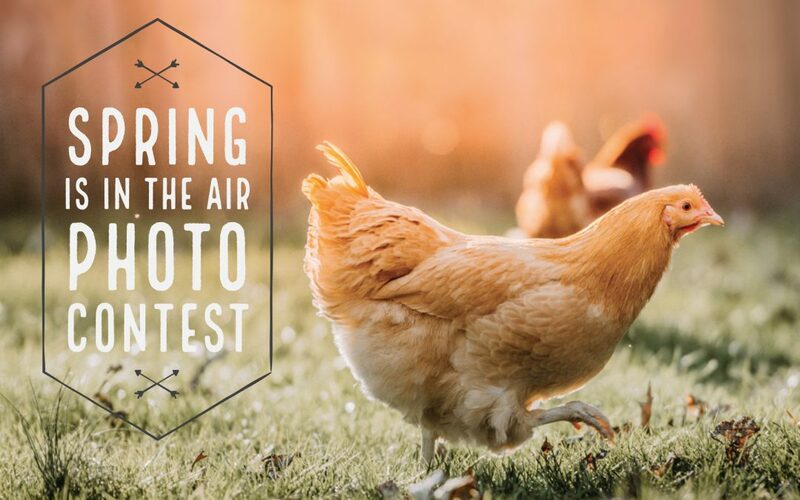 Now through April 21st, enter photos of your Spring chickens in our third annual Spring is in the Air photo contest. Send us photos of your baby chicks, fresh eggs, hens on their nests or with their newly hatched chicks, new chicks exploring outdoors, or other photos showing your flock this Spring. Entrants of winning photo(s) will receive a $50 gift certificate to Murray McMurray Hatchery. All entries will be eligible to be selected by our staff for use in our 2020 catalog or website. Photos selected for use in the 2020 catalog will be announced in November 2019. April 3 – 21, 2019: Enter the contest by uploading your photos. April 22 – 26, 2019: Vote for your favorite photo online. May 2019: Winning photos will be announce via our newsletter, blog and social media. November 2019: Photographs selected for use in the 2020 catalog will be announced. Click here to view the complete contest rules.